Most facial filler treatments can be completed in as little as twenty minutes to an hour, depending on your unique goals and the current condition of your skin. There is no anesthesia needed for this procedure, and, given the nature of fillers, you will be able to see immediate results with each syringe. Once your filler treatment is complete, you will be able to get right back to your day with little to no downtime. BOTOX® Cosmetic targets one of the underlying causes of frown lines and crow’s feet—the repeated muscle contractions from frowning and squinting over the years. Your specialist will inject these muscles with BOTOX® Cosmetic to temporarily reduce muscle activity. You will begin to notice a visible smoothing of your crow’s feet lines and frown lines between your brows. Wrinkles result from a combination of many factors. It’s not just about cellular changes that can occur over time, reduction of collagen, or damage caused by free radicals in the sun and the environment. When you frown or concentrate, the muscles between your brows contract, causing your skin to furrow and fold. And when you squint, the muscles around your eyes contract and cause crow’s feet. BOTOX® Cosmetic works beneath the skin’s surface and targets the underlying muscle activity that causes frown lines and crow’s feet. The great thing about this Zo Medical 3 Step Stimulating Peel is that it is suitable for all skin types and tones. For best results we recommend around 3 peel treatments spaced 6 weeks apart. You will see the difference instantly and you will notice your skin is tighter, smoother and brighter-looking with a healthy glow! This peel removes multiple layers of dead skin cells revealing a fresh, youthful complexion underneath. It can help combat sun damage, pigmentation, fine lines and wrinkles, acne scarring and large pores. Exfoliate dead skin cells and help healthy skin cells rise to the surface. These treatments allow deeper layers of fresh and untouched skin to be revealed. The result of monthly treatments can even skin tone, clear acne, improve the appearance of aging skin and make dull complexions glow. 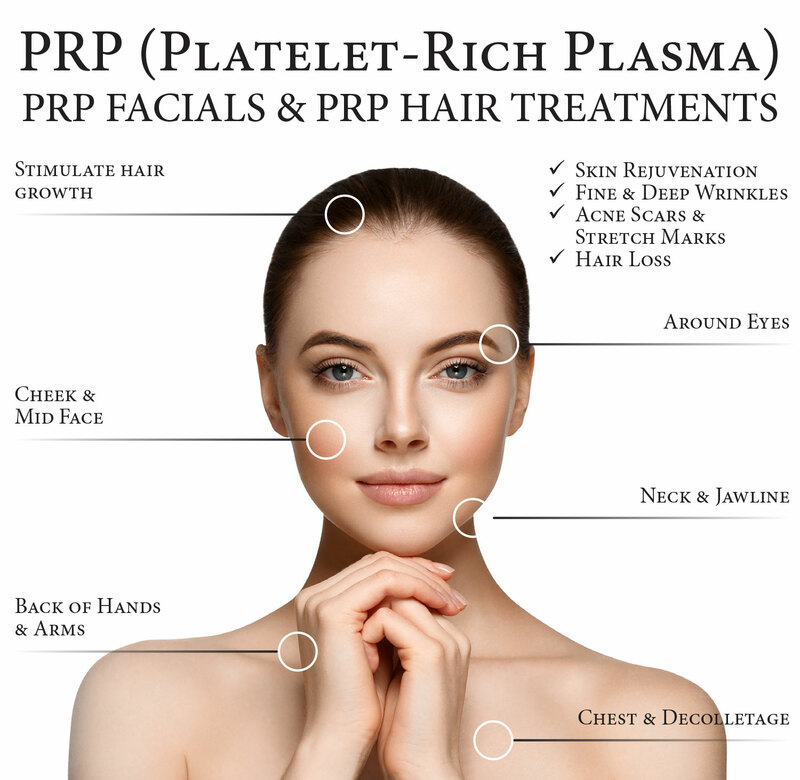 Peels are safe for all skin types, and PCA Certified Professionals are trained to identify what treatment combination is safe for each person’s skin in order for patients to reap the greatest benefits. Your skin type never changes, but your skin condition does. Preventative facials are your best defense against pre-mature aging skin by preventing toxic build up, dehydration and collagen breakdown. Our facials will detoxify, nourish and hydrate your skin leaving it looking healthy and rejuvenated. Skin conditions vary day to day, therefore our facials are customized to treat your skin’s needs. Classic medical Microdermabrasion uses medical grade crystals that are vacuumed across the outer surface of the skin at high velocity, using a closed loop power system and hand piece. The crystals exfoliate the outermost layer of skin, exposing living skin cells that are soft, smooth and receptive to nutrients. The underlying epidermis is also stimulated by abrasion and vacuum. This promotes generation of new collagen that thickens the dermis and improves resistance to the effects of aging. The benefits of Microdermabrasion are the following: non-invasive, painless, no recovery time, treats all skin types, provides instant gratification and an immediate, noticeable effect.